Simplot Australia has lost its Managing Director, Terry O’Brien, who is leaving to become Chairman of Clean Seas Tuna. 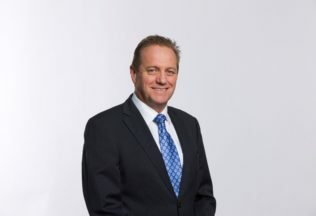 O’Brien has been with Simplot Australia for nearly 24 years and has been Managing Director since 2001, after serving eight years as the company’s Chief Financial Officer. Graham Dugdale, currently Executive Director Commercial at Simplot Australia, will replace O’Brien in the role of Managing Director from 1 March 2017. O’Brien will be leaving on 31 August 2017. Snatching O’Brien is a big coup for Clean Seas with his experience managing Simplot’s tuna brand, John West. The ASX-listed Clean Seas has been going from strength-to-strength recently with the company reporting an 83 per cent increase in sales for its 2016 financial year when compared to its 2015 financial year. After years of difficulties trying to breed tuna in captivity, Clean Seas is having greater success with its breeding program for kingfish. Clean Seas is the only commercial producer of kingfish in Australia. Clean Seas has recently entered into a strategic alliance with Beston Global Foods to start exporting its Australian kingfish to China, Hong Kong and South Korea. Although Australian kingfish are capable of being grown to very large sizes, Clean Seas has also developed the quick growing species as a table-plate sized 400-600gm, thereby enhancing the profitability of its product. Meanwhile back at Simplot, the newly appointed Managing Director Graham Dugdale has had a steady rise since joining the company in March 2004. He has worked in a variety of roles there including Executive General Manager Retail for the past three years. Simplot said a transition period until August 2017 has been allocated to ensure a smooth handover.